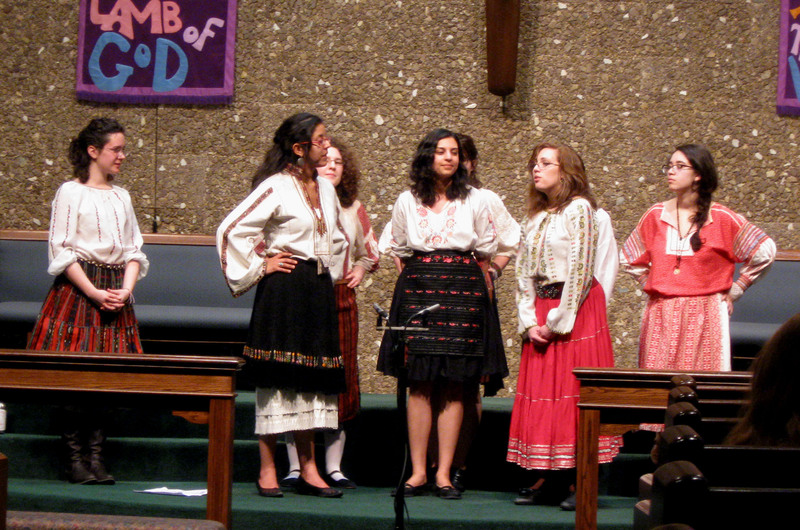 The Yale Women’s Slavic Chorus presented a delightful performance on Sunday evening, March 13th, in the sanctuary at Christ United Methodist Church in Farmers Branch, Tx. The chorus is Yale’s oldest all-female ensemble, founded in 1969, the first year of undergraduate coeducation at the college. 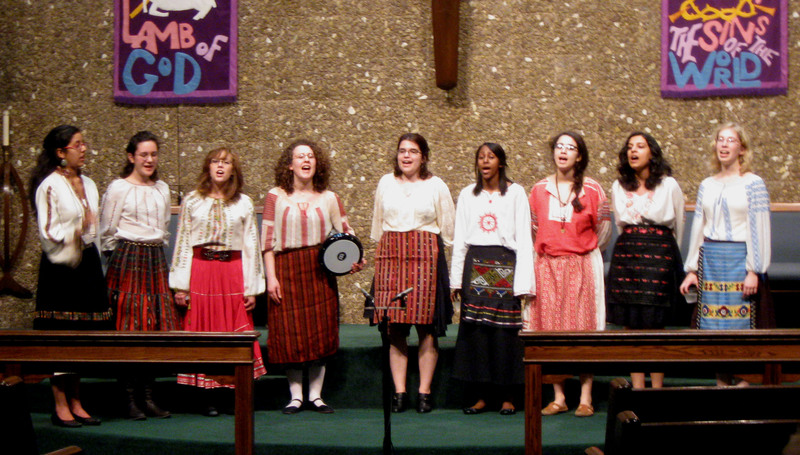 The Slavic Chorus is comprised of a group of women from a variety of cultural and academic backgrounds who share a common interest in Slavic music. 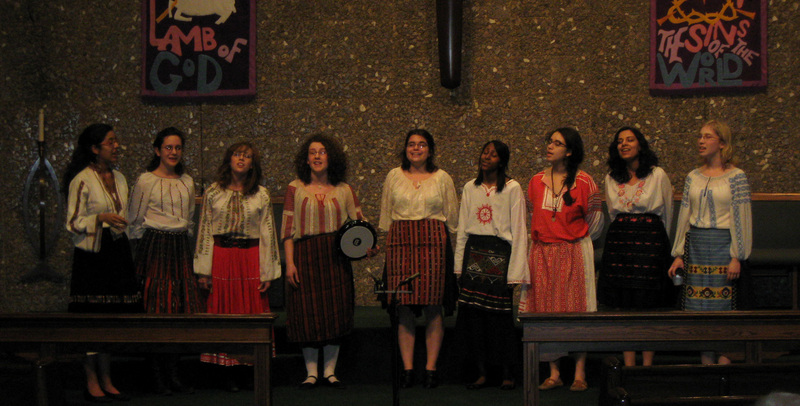 Using the traditional dumbek, or doumbek, hand drum, and clad in authentic Balkan garb, the nine young women performing on the 13th sang songs from the countries of Bulgaria, Croatia, Russia, Georgia, Poland, and the Ukraine. The “Slavs,” as they are affectionately called, moved effortlessly through the two sets of music with dissonant harmonies, syncopated rhythms, and distinctive vocal qualities. The folk songs from the different countries told of love, marriage, work, war, country life, and sorrow. The women took turns introducing each selection, giving a bit of the story line and background. While primarily an undergraduate group, the chorus also includes members from the rest of the Yale-New Haven community. The chorus is entirely student-run and student-directed. Rachel LaViola, of Frisco, sings second soprano and is one of the three current tour managers. In her introduction, LaViola explained that the group was staying at her home during the Dallas tour. 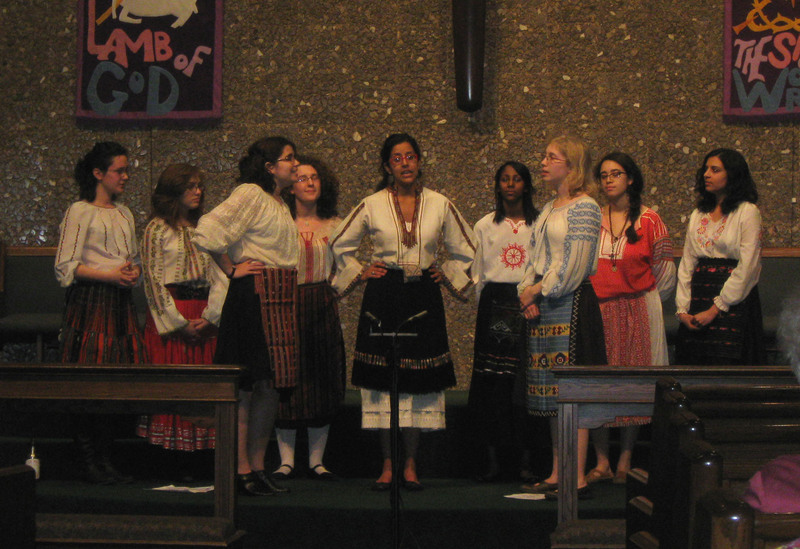 Sarah Larsson, singing second alto and one of the two current business managers, stated that some of the Slavs had been familiar with Slavic music before college, while others heard the music and instantly knew they had to audition. With the constant sensory overload present in our lives, an evening of rhythmic, harmonic folk songs from other countries and cultures – allowing the listener to immerse oneself in that culture – is a welcome change. The enthusiasm of the Slavs was readily contagious. The hypnotic harmonies calmed the worried souls of the audience. The worries would return. Fortunately, so would the memories of an evening of beautiful music sung by women who truly enjoy the music they feel called to sing. More pictures will be found below.